Nasdaq up over 1% on the day now at 7800. Approaches record highs. The Nasdaq has just cleared above the 7800 level and is now up 87 point or 1.13% on the day. 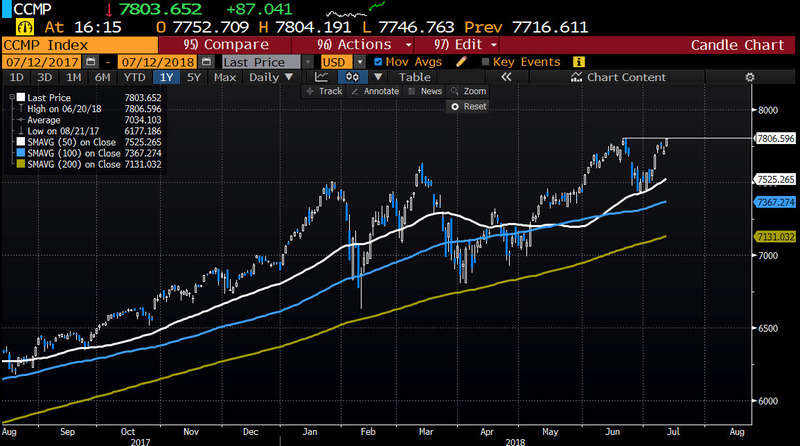 The all time high price for the index comes in at 7806.59 (back in June). Needless to say, the price is not that far from record high headlines. At the recent lows, the index stalled right at the 50 day MA and held (twice). Technically, that kept the buyers in charge. The S&P is up 0.74%. The Dow is up 211 points or 0.85%. Happy days for stocks today. As London/European traders head for the exits, they too had decent rebound gains after the rout yesterday. France's CAC led the way with a 0.97% gain. The UK FTSE rose 0.78%. The German Dax was up 0.61% Below is the snapshot of the major indices now. In the European debt market, 10 year yields are ending the day lower (they were mixed earlier). In the US, yields are up marginally ahead of the reopened 30 year auction at 1 PM ET/1700 GMT. 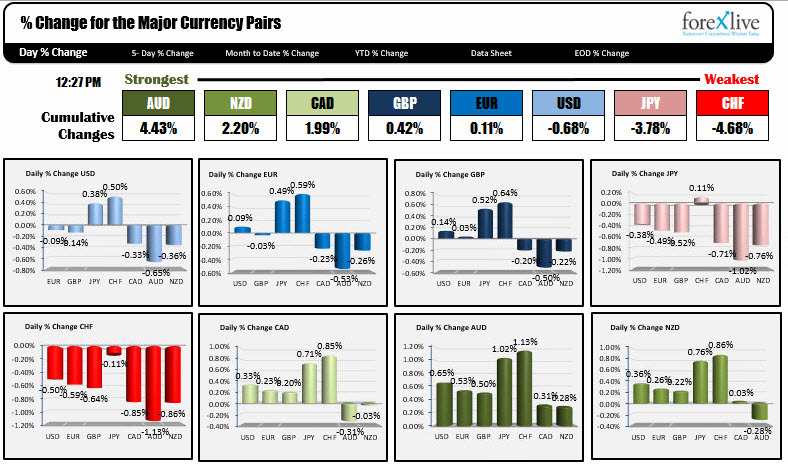 IN the forex market at the end of the London session, the AUD is the strongest followed by the NZD (risk on), while the CHF and JPY are the weakest.